Renault's Nico Hülkenberg believes that Haas F1 is now his team's chief rival for the coveted position of 'best of the rest' in the Constructors' Championship behind Formula 1's big three of Mercedes, Ferrari, and Red Bull. Renault is currently fourth in the Constructors', having amassed 70 points in the first 10 out of 21 races, and Haas stands in fifth with 51. The American team closed up significantly in Formula 1's recent triple-header of races in France, Austria, and England, adding 32 points to its tally during the stretch of three back-to-back Grands Prix. Haas subsequently moved from eighth to fifth in the championship hunt, leapfrogging Toro Rosso, Force India, and McLaren, the latter of which has recently undergone a management reshuffle. Renault, Force India, Haas, and McLaren form a competitive midfield pack. "I think it shifted around with Haas coming through more and McLaren seem to have lost out a little bit", Hülkenberg told Crash.net with regard to the battle for 'best of the rest'. "We take them [Haas] seriously because they are fast. How they got there doesn't really play a role for me, they are strong at the moment and we just have to deal with it." Hülkenberg highlighted that Haas "really missed out" on some good results earlier in the season—with the team losing out on an ostensible fourth and fifth place finish in Australia due to issues in the pits, and Romain Grosjean failing to score on multiple occasions—but admitted that the American squad has put some good results on the board recently. 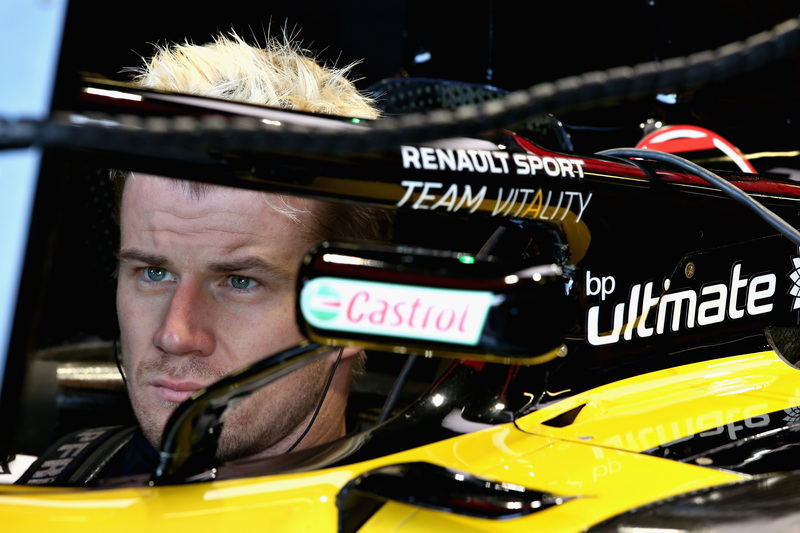 "The momentum seems to swing around", Hülkenberg said of the midfield battle. "But at the end of the day they [Haas] have a strong car and good package", the German admitted, although he remained upbeat about Renault's chances: "We still have a good package and we have some things in the pipeline that we will release over the next few weekends." Hülkenberg also reckons the next few tracks on the calendar will suit Renault's car, whereas the three previous circuits—the power-dependent Paul Ricard, Red Bull Ring, and Silverstone—played into Haas' hands. Haas' VF-18 is after all powered by the Ferrari engine, which is believed to be the strongest power unit in Formula 1, while its design has proven competitive at faster tracks in particular. 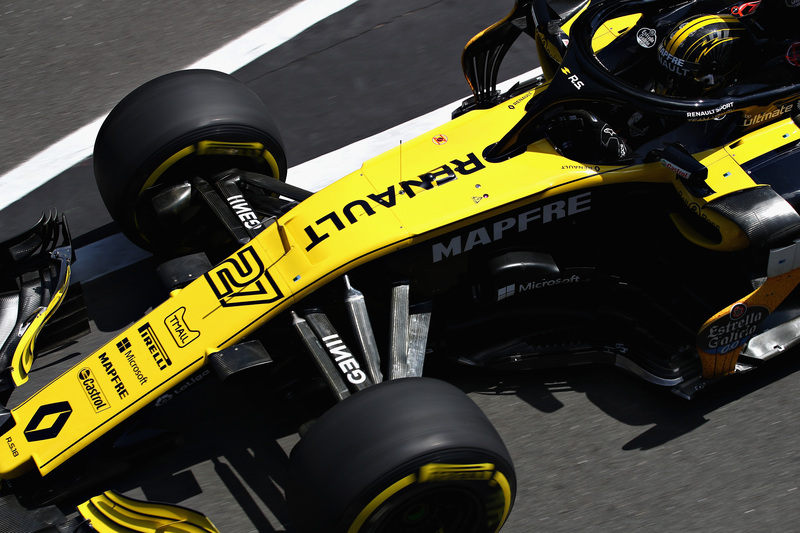 With 11 Grands Prix to go this season, Hülkenberg thinks Renault can come out on top and continue the progress it's made since returning as a full-fledged factory effort in 2016. The team finished ninth in the Constructors' Championship upon its return and climbed to sixth in 2017. 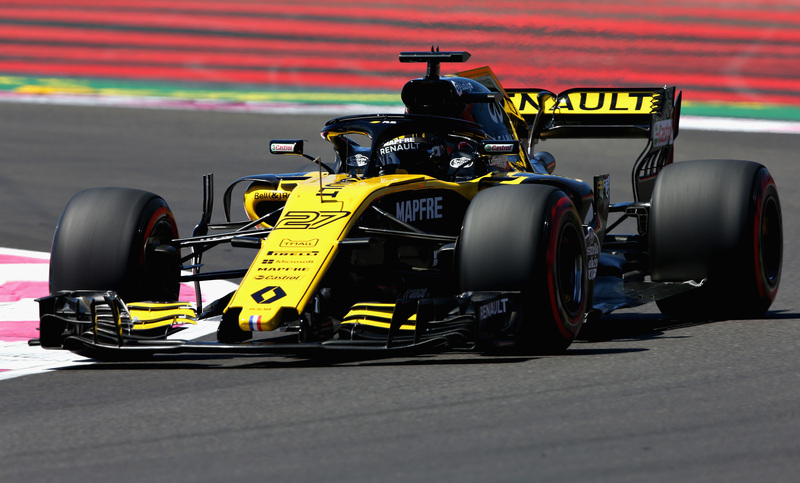 Renault has continued to build up its team off-track as well, increasing its infrastructure and staffing up significantly. Renault's Chassis Technical Director Nick Chester told Formula1.com that although "there's been loads of investment," however, there is no "blank check". This is part of the team's conscientious step-by-step approach to rejoining the ranks of Formula 1's leading teams.